NEW ARRIVAL!! 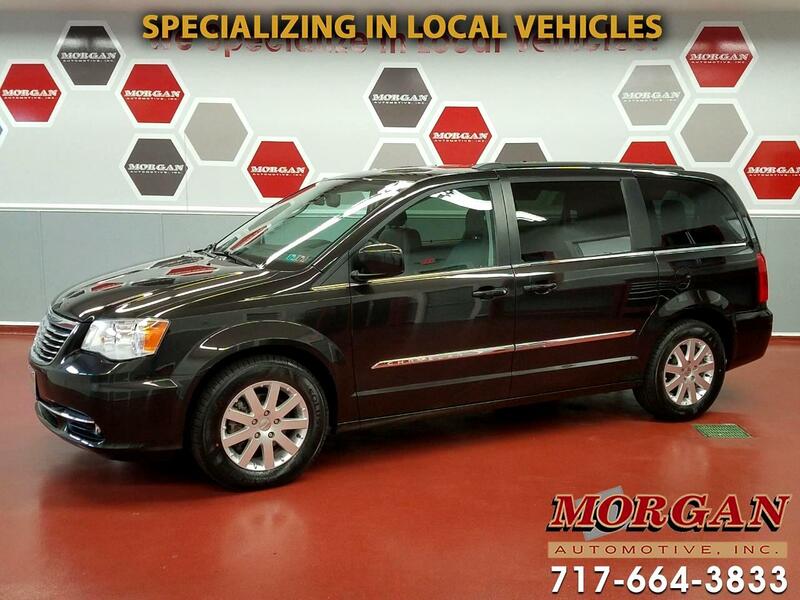 ****SUPER NICE 2015 CHRYSLER TOWN AND COUNTRY TOURING WITH STOW-N-GO SEATS! ****4 NEW BRIDGESTONE TIRES! ****CLEAN CARFAX****2ND ROW BUCKET SEATS****REAR DVD WITH WIRELESS HEADPHONES****This is an amazing value for one of the most popular mini-vans of all time! This vehicle comes loaded with the SafetyTec package including blind spot and cross path detection, trailer tow group with Class II hitch, load leveling and height control and trailer tow wiring harness, power sliding doors on both sides, power tailgate, touch screen infotainment center with Bluetooth and Satellite radio, 3-zone auto control front/rear air conditioning, integrated roof rail crossbars, fog lights and easy clean floor mats. Tires are brand new and brakes are all well over 50%. Comes with the balance of Chrysler's factory powertrain warranty with options to extend warranty coverage for added peace of mind. Financing is available and all trades are accepted. For more details on this awesome Van please contact our friendly commission free sales team at Morgan Automotive today.